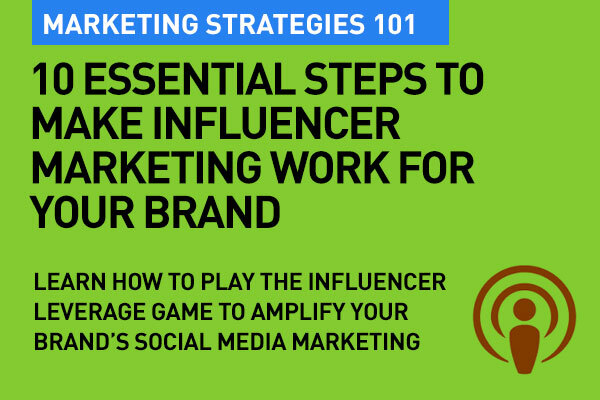 As a marketer, you need to learn how to play the Influencer leverage game to amplify your brand's social media efforts. Influencer marketing harnesses the influence or social clout of key individuals to meet specific marketing goals by building mutually beneficial relationships. It's reaching out to those who have voice that’s heard and followed. It’s preaching to the preachers. An Influencer is an individual who has the ability to influence or change behavior or impact purchase decisions of those who follow him or her in a social context. These influencers have usually earned and built an engaged audience over time by producing content on specific topics that have expertise on. Certain verticals in marketing have taken to influencer marketing like ducks to water. Around 60 per cent of fashion and beauty brands have some sort of influencer strategy in place. Getting influencer marketing isn’t easy. If your brand is looking to influence that really tight slice of your audience — and who will then cast a magic spell on the rest of your target group — you need to have a pretty good strategy in place. The first step is to identify your overall target audience. What influences them? What impacts how they are decide, evaulate and buy? What solutions are they looking for? Where do they turn to for advice? You'll need to continuously listen to what your audience is asking for, sharing, talking about. 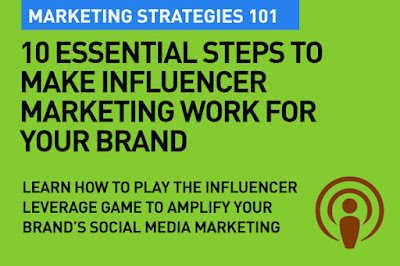 Identifying the right influencers is first up the biggest challenge today. And there’s no magic list somewhere. You can’t wiki them, there’s no easy find on Google search, and while there are some tools that identify them on Twitter and Instagram, one still needs some hands-on hard work to be able to spot the right influencers. Who are the people who produce, share and amplify content that can impact awareness to purchase decisions that affect your product. Once you have a list of influencers that you want to enlist to help your efforts, monitor their content. What are they talking about and in what context? What and how do they share? What social platforms are they most influential on? What are their audiences asking for? How are they interacting with their audiences? This is how you spot the opportunity to position your brand or product in the right context with the right influencer. Once you know that a particular influencer's content is relevant to your product, take action. Get to know them, build a sense of trust leading to mutual benefit. This is where you can propose and develop initiatives that you can work on together. An influencer has worked hard over time to build an audience. You need to help them provide value for their audience. Remember, it's nit about just you this time. In the competitive market, influencers need to be convinced and won over with products, ideas and strategies that are attractive to them. Influencers are brands themselves, and today, they are savvy enough to recognise what works with ‘their’ audiences, what doesn’t, what makes them look credible and interesting, rather than just coming across as a mouthpiece. This is simple amplification. You can ask your trusted influencers to build a network. While they usually are very competitive, they themselves have influential social following which can help expand your network. Remind them to ask for user generated content as well. Coming from high profile influencers this will certainly get you better results and a load of free content. This changes the paradigm quite a bit — it is after all a shift, a hand over of power to the influencer. Brands need to pander to this shift, and form meaningful on-going relationships with their influencers. It's ok to take a back seat this time. Product discount or giveaway. Offering a discount on your service or giving them a free product from your brand will really incentivize an influencer to keep talking about you. Let them sneak preview a product they're an expert on, let them keep it. Financial. This is increasingly becoming common, and difficult to manage at the same time. Buying content endorsement isn't always ethical or transparent, unless of course your influencer is really passionate about tour product or service. Social reward. Sharing a post they write about you on your social media outlets will get more traffic to their site and make them feel important. Also, something as simple as a post that says “Thank you for mentioning our camera, coming from an expert like you, it means a lot” (or something to that effect) works well. Commission for leads and sales. Influencers today often ask for commissions based on leads and sales arriving directly from their content (it is trackable with simple codes). Influencer marketing has the potential to give you a solid ROI. You need to keep tract of the initiatives that work, the one's that don't and be able to work together to further build on them or re-work them as needed. Influencer marketing is a long term game. Read about how influencers are the new power force in marketing these days: The sheer power influencers get to wield these days. Consumers today are looking for authenticity of influencer opinion. The millennial generation in particular would believe a trusted word of mouse rather than a direct brand voice. Influencer marketing is a leverage game. For every influencer that you can reach out to and influence, their opinion, their word will influence thousands of others in your target audience in a way that the audience is willing to relate to and resonate with. Of course, it does not work in silo, you have to get your social media and content strategies right for it to work in tandem. Get this right, and it’s really worth every post, every unboxing video, every 140-character tweet.